Akhilesh Singh, M.D. 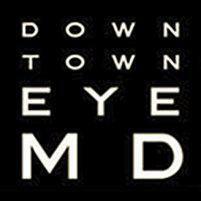 and the staff of Downtown Ophthalmology serve residents who live in the Forest Hills and Queens neighborhoods of New York. The doctor specializes in the diagnosis and treatment of diabetic conditions that affect the eye, including diabetic retinopathy. Diabetic retinopathy is an eye condition that occurs in people who have either Type 1 or Type 2 diabetes. Diabetes affects how blood circulates through the body. With diabetic retinopathy, the blood vessels that supply the light sensitivity cells of the retina become too damaged to function effectively. Managing a person's diabetes will help to control the rate at which diabetic retinopathy progresses. Individuals who do not closely monitor their blood sugar levels put themselves at a much higher risk. If diabetic retinopathy is not properly controlled, the condition can eventually lead to total blindness. The main form of treatment for diabetic retinopathy is to manage a person's blood sugar levels. Controlling blood sugar levels helps to reduce the damage that could potentially affect a person's vision. While no treatment may be needed when the condition is first diagnosed. Advanced cases may respond well to different types of laser procedures. Scatter laser treatments are used to shrink blood vessels, while focal laser procedures work to slow down or halt blood leaking into the eye. A vitrectomy is a surgical procedure in which blood vessels are removed from the vitreous portion of the eye through a small incision. Can the Condition be Prevented? Diabetic retinopathy may not be able to be prevented and it has no known cure. People who are diagnosed with Type 1 or Type 2 diabetes when they are younger can postpone the onset of conditions like diabetic retinopathy by closely monitoring their blood sugar levels. Individuals who eat a nutritious diet, use insulin per their doctor's instructions, and control their diabetes can dramatically reduce their chances of being diagnosed with this type of retinopathy. Even people who have had diabetes for several years can minimize their risk just be keeping their blood sugar levels within a normal range. Please contact the office for further information on accepted insurances.